Serious projects demand serious lighting, look no further than the Energizer HARDCASE PROFESSIONAL® Spotlight. This light has been designed to withstand drop after drop, off a ladder or even a two story building. Constructed with rugged steel and rubber materials, this light is designed to meet the most demanding jobs. With advanced LED technology, the powerful beam can span the distance of four stadium fields, while high and low mode option allows the user to maximize brightness or runtime. 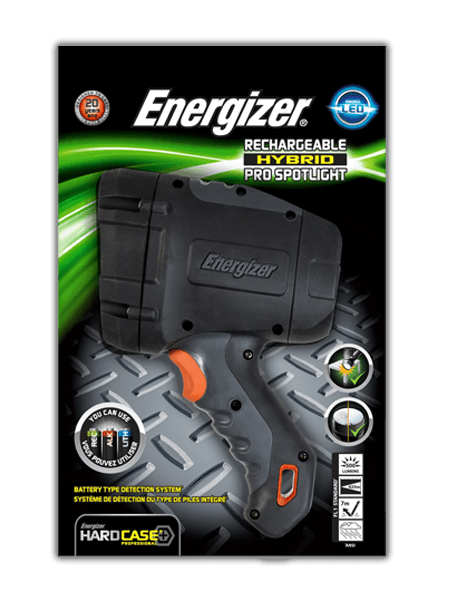 Bright and durable, Energizer HARDCASE PROFESSIONAL® Spotlight is ready for any task.